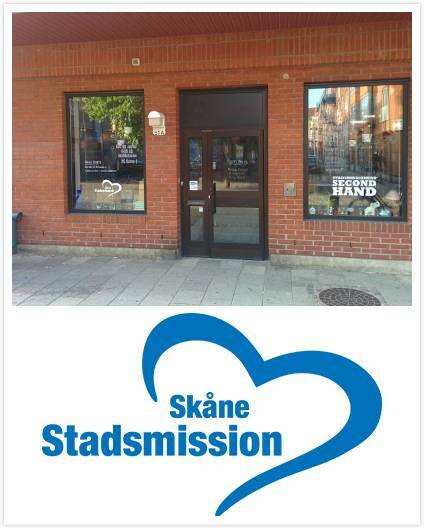 Skåne Stadsmission works with people living in vulnerable life situations. They provide professional support, both acute and long-term, through work on our nightly journeys, open venues, housing, health care and social services. Among them are women and men living in homelessness, drug addiction and mental health, young people who need support of an adult, women in need of a safe place to live, persons who are insured and single elderly seeking social fellowship. Skåne Stadsmission operates three stores in central Malmö. Here you can make affordable purchases while contributing to a more sustainable society. At the store located close to Caroli you will find second hand furniture, glasses and crockery, paintings, books and toys, sale of products from own climate smart and designed brand REMAKE (Products made from recycled material). In the shop, you can also find and buy coffe, good breakfast and lunch options. Both vegetarian and vegan options are available.